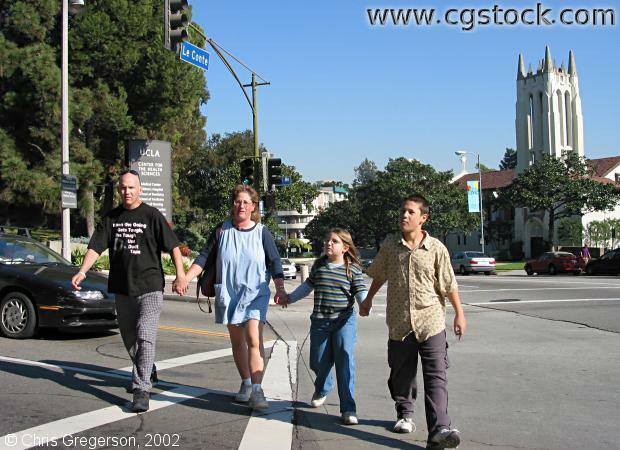 Marc is crossing Tiverton Avenue at Le Conte, near the entrance to the UCLA campus. We are coming from the Tiverton House (across the street and on the right), on the way to an outpatient appointment Marc has. His wife, daughter, and step-son are visiting him from Yucca Valley. He will be admitted to UCLA tomorrow for a stem-cell transplant. I will stay with him in the hospital for about 14 days.